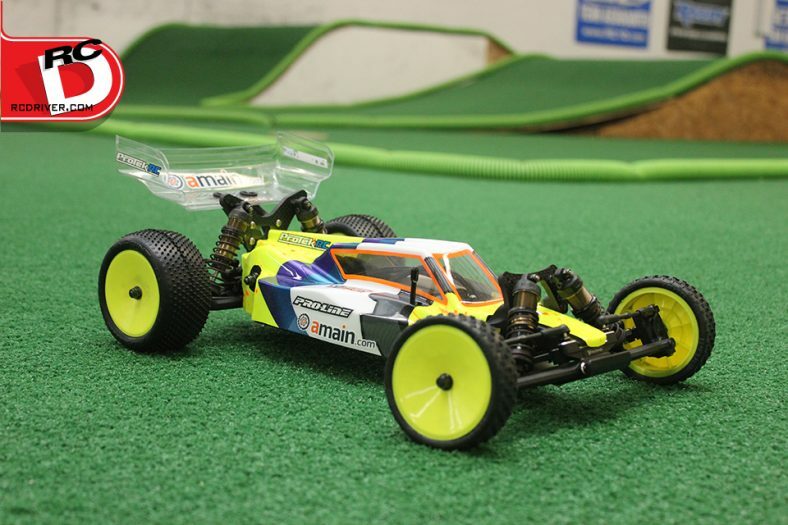 ECX RC continues to add to their line of fun, durable and maybe more importantly price friendly RC machines. 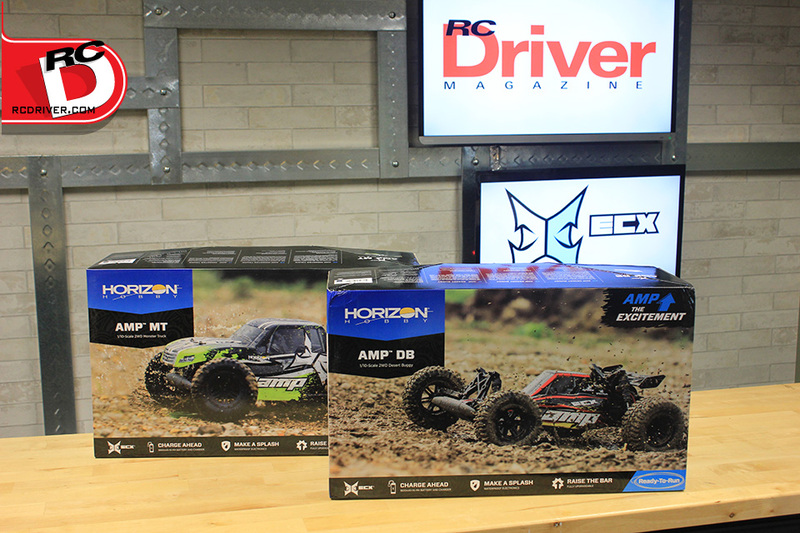 What’s hitting the shelves now are the new AMP Monster Truck (MT) and Desert Buggy (DB) and these two machines just came into the RC Driver offices and we unboxed them on our workbench for you to check out. 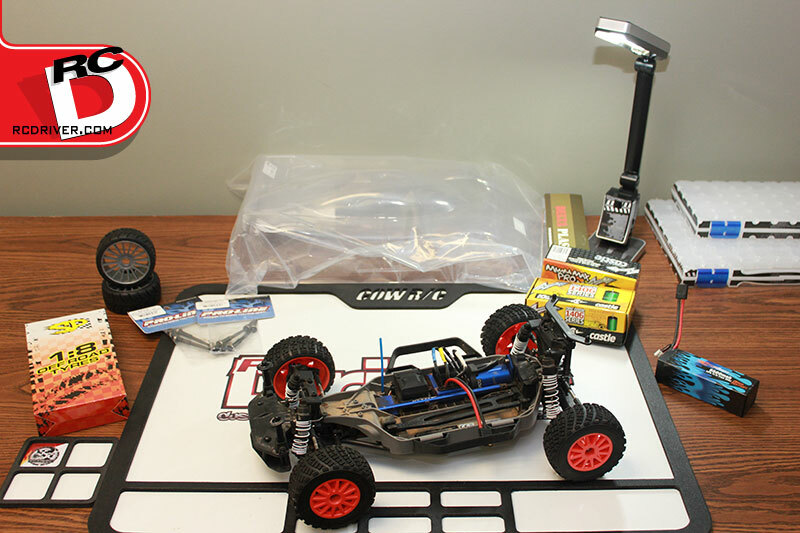 What’s in the box: Assembled vehicle with motor and electronics installed, 2-channel 2.4gHz radio, 7.4V NiMh battery, misc tools, charger, painted body and manual. The AMP machines come in colorful boxes with cool graphics to entice you to pull it off the shelf. The vehicles are well packed so they don’t sustain any damage in shipping and the radio is wrapped in bubble wrap. When you start pulling stuff from the box, you’ll find the assembled RTR body with painted body and even the battery installed. The radio will need some AA batteries so go hunting for some while you plug the included wall charger into the pack to charge it up. 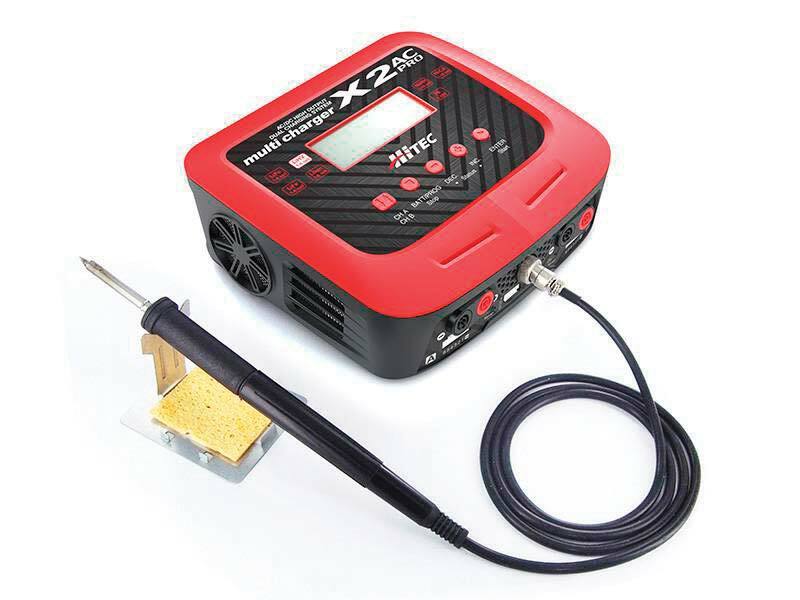 There will be a manual in the box to familiarize yourself with the vehicle, a box wrench and allen wrench in case you need to tighten the wheels or a screw along with some extra two sided tape in case the ESC/RX unit pops off. Extra shock clips are included to adjust ride height and extra servo horns are in case you plan to use a different brand steering servo in the future. Upon inspection it was obvious that the AMP is basically a boost buggy with some clever tweaks to help make the price more attractive for entry level buyers. Those tweaks include a new two in one Electronic Speed Control/ Receiver unit rather than two separate modules. The ESC powers the 20T brushed motor and we were happy to see the ESC fitted with quality EC3 plugs, oh and it’s waterproof. Bonus! A Spektrum S607 servo is used for steering and the battery pack is a Dynamite Speedpack 1800mAh NiMh battery. The battery is basic, but it gets you going. The radio is new to the ECX line and we found it, well interesting… small and very plastic. The grip is actually comfortable; there are throttle and steering trims as well as dual rates and reversing switches. The radio is functional, just not the substantial size we’re used to. The makes up the electronics and their differences from the ECX Boost. Now let’s talk about the vehicle itself. Independent wishbone suspension, long travel oil filled shocks, fixed links for ease of use and flexible plastic arms and parts for durability. The long composite chassis is rigid and the battery sits in the center with a simple strap with twist locks to retain it. The transmission features a gear differential, slipper clutch and power is sent to the wheels via slider type universals. New wheels and tires are put on all for corners of the MT and DB. The tires are the same between the two vehicles with the exception the DB’s front wheels are slightly narrower. A cool vibrantly painted truck body mounts to the MT version while a wild looking low slung cab forward body covers the buggy chassis. The buggy has a flexible plastic wing on the back for looks. We’ve always had fun with the Boost buggy during our test sessions and after test fun so we’re excited to try the new AMP machines and see if they fun off-road action is just as intense. 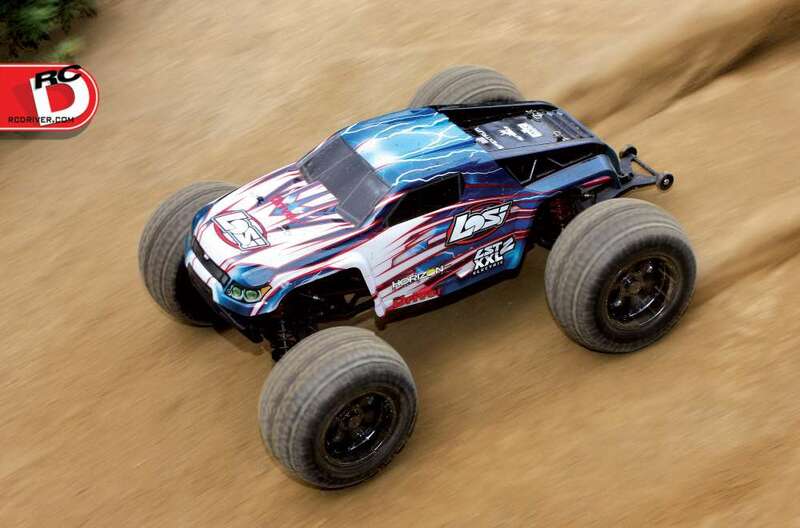 Make sure to check back to RC Driver for more information on these new ECX ready to run vehicles. 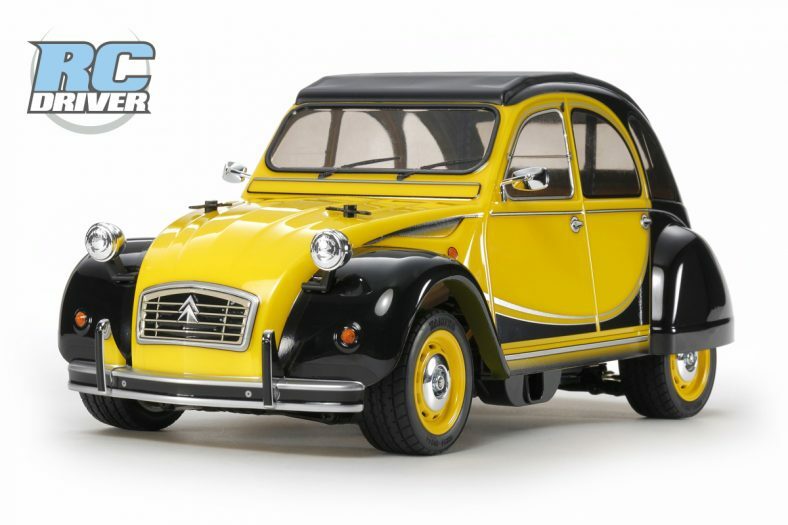 Great entry level vehicle. Pretty much sturdy. Options for mods. My kid loves it (he drives it, well, like any 4yr old would drive}. Its controller comes with many features such as steering calibration, speed limiter. It rides very well on grass in the backyard. It is quite impressive when it comes to dirt and on road performance. For the price and quality of product I highly recommend it.